In 1935, an Austrian physicist named Erwin Schrödinger published his “Schrödinger’s Cat” thought experiment to explain superposition (a quantum mechanics principle stating that something exists in all possible states until it is directly observed or measured, at which point it exists only in one of its possible states). 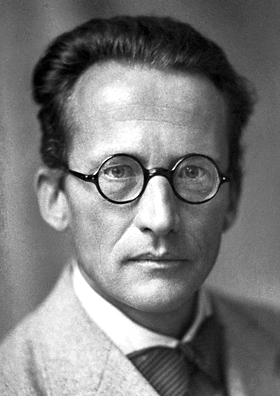 Erwin Schrödinger, staring intently at you. Wikimedia Commons. 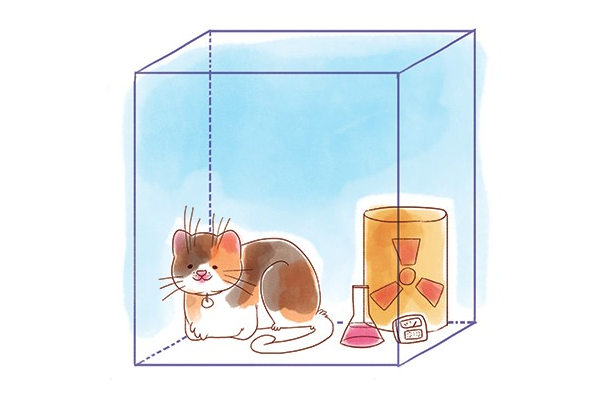 The thought experiment involves a cat who is placed in a sealed box with a flask of poison, a radioactive source and a radioactivity monitor. If the monitor detects any radioactivity, it will shatter the flask of poison, killing kitty. Quantum mechanics would imply that, after a while, the cat is simultaneously alive and dead – but when the box is opened, the cat will only be observable as either alive or dead, but not both. Okay, but that’s just some dude talking about a cat that may or may not be dead – who cares, it’s just the same weird made-up existential stuff that stoned people come up with all the time, right? Let’s jump back to the 19th century when a guy named Thomas Young created an experiment to show that light acts as a wave. He shone a beam of light through a piece of cardboard which had two parallel vertical slits in it. The resulting pattern on the wall behind the two slits was that of alternating bands of dark and light, also known as an interference pattern – which occurs when two waves intersect each other and their amplitudes either cancel each other out or add together. Interference patterns are only created using wave energy, so Young’s result showed that light acts as a wave. This was all well and good until Einstein came along to make quantum physics great again, and proved that light photons behave as particles, not waves. 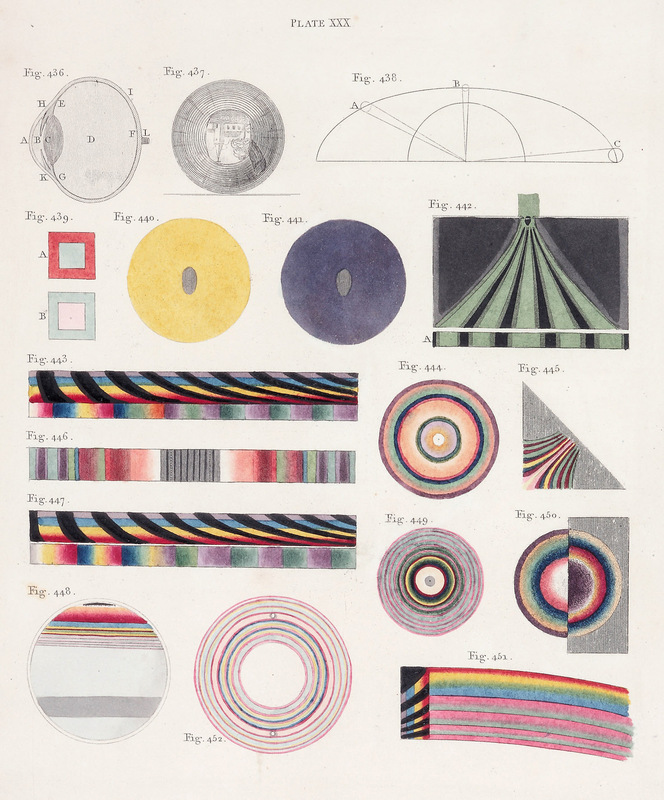 Plate from Thomas Young’s “Lectures” of 1802 (RI), pub. 1807. Wikimedia Commons. It was time to go back to the drawing board. Scientists had another look at the double slit experiment, and were able to slow light down enough to show only one photon at a time passing through the slits. When they did this, each photon accordingly appeared on the wall behind the slit through which it had passed as an independent particle, like particles do. But the resulting pattern was still an interference pattern. So even though only one photon was being emitted, and only one photon was hitting the wall beyond the slits, the overall effect showed the light behaving as a wave. What on earth? How can something be both a particle and a wave? How can a cat be both alive and dead? 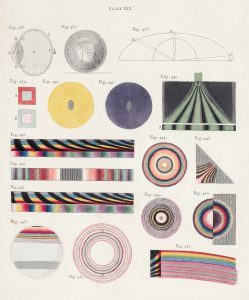 Even weirder was that if they observed the experiment in any way, by checking which slit the light passed through, the wall (instead of displaying an interference pattern of alternating light and dark) began showing two lines of photons, one behind each slit – indicative of particle behaviour. Sneaky confusing photons. So, merely observing the experiment altered its outcome, changing the nature of light from a wave to a particle. What? How? How is it possible for light to exist in a state of probability, as both a particle and a wave until it is observed? Nobody actually knows. Yeah, Mr White! Yeah, SCIENCE!